Brave title for a big topic but let’s run you through why Citiprint are the Leading choice in Print and Signage across the UK. For starters, we produce 90% of our print in house at a purpose production unit meaning total control over quality, efficiency and cost. This saving we can then pass on to you and can keep you updated on your order every step of the way, whether it’s one t-shirt or 1000 banners. We have been constantly reinvesting since day one in better equipment to keep at the forefront of an ever changing market, allowing us to always produce high quality results every time. When you order with us, no matter what the value of your order, you’ll be given a dedicated account manager who will assist you in choosing the right spec for your print, signage or workwear and will benchmark ourselves against competitors to show how competitive we are on pricing, whilst still delivering unbeatable service. We always aim to give you the same account manager every time you order with us as we love building relationships with our clients and seeing how print can grow their business. We install signage and graphics up and down the country with regular work in the surrounding area, London and other key cities. We strictly don’t outsource any installation so you’ll always have contact with an employee of ours, trained, tested and approved to our strict criteria. You can of course also visit us for graphics installation at our unit where we provide a secure, contained environment for your vehicle or fleet and Netflix, tea/coffee and comfy sofas for you! Faster, faster, faster! In this day and age, we want everything on demand. We can tap our phones and have a taxi arrive at the door or a chinese sent to us in minutes. 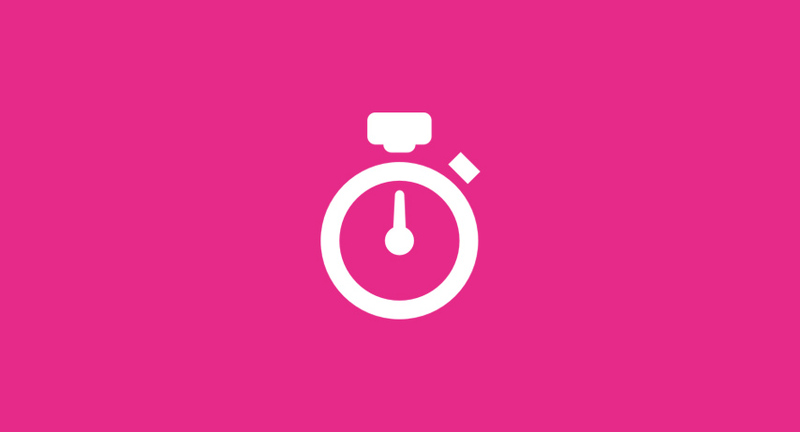 It’s that ease and speed that we know our clients need and that’s why we’re proud to be the UK’s Fastest Printing Company. We have designed, printed and installed lorry signage in muddy fields overnight at Goodwood Festival of Speed, we’ve produced workwear through the night for Amazon and delivered the next morning 200 miles away and even produced Same Day graphics for a ’60s Ambulance! No job is too big or too small on our fast turnaround. We achieve this by constantly reinvesting and managing our workflow efficiently to give you the best shot at a fast turnaround when you really need it. We’re experienced, passionate and quite knowledgable about print, if we don’t say so ourselves. Ink runs in our blood at Citiprint and we only hire people who share the same enthusiasm and approach as we do. We’re totally different to any other print or sign company, offering in effect a 24/7 service, tons of advice to allow you to make the best informed decision and the highest quality materials as standard. We’ve even cut certain product options from our range as the quality isn’t good enough for us. We’ve tried and tested many suppliers and now deliver the fastest service possible to a growing demand. So there you have it, that’s 5 reasons why you need us in your life. Now, you just need 1 number – 0203 167 0400. Print has been used by businesses for centuries really. Billboards, flyers and business cards all derived from slate carvings, parchment paper and flags and now print is still as important a marketing tool as ever. A lot of companies have dropped print in favour of online marketing but many forget just how cost effective and visual print is by comparison. Take, for example if someone put a scrunched up flyer through your door – you’d open it to see what it is, rather than just binning it. It’s curiosity – with online ads, we tend to put our blinkers on and just focus on the content we’re interested in, ignoring what have become pesky ads that we just want to skip or close. With print though, it’s much more – you can create an experience through print, through the right stock, original designs and on-trend products. It’s not just traditional print that catches the eye, our promotional items are hotter than ever, with mugs proving a popular choice for boardrooms, customer gifts and for branded merchandise. PRINT IS VISIBLE – Print’s visible to a lot of people. One mug on your desk will be seen by many people each day. One banner outside your office will be seen by tens, if not hundreds of people a day. One vehicle graphic will be seen by up to 3,000 people a day. That’s a lot of exposure for a low outlay, making print not only just cost effective but very adaptable too. Digital ads don’t work on motorways, those in your office or passers by. You have to remember not to neglect physical customers who are in front of your brand, rather than their screen. PRINT IS COST EFFECTIVE – Take flyers for example, you can have a few thousand flyers designed, printed and distributed all for less than a few hundred pounds now. With our design service, we know what does and doesn’t work so you can be sure to catch the eye of many potential customers with an original design. Flyers are also a great way to offer a discount or voucher for customers, making it more personal and exclusive than widespread advertising. A tyre garage for example may spend £200 on leaflet design, print and distribution for 2500 customers. It only takes 2 customers to have tyres fitted to make a return. The lifespan of marketing like this is quite lengthy as people will begin to then see your brand out and about and begin to create a mental bond with it, making them more inclined to use your services. PRINT IS MORE LUXURIOUS THAN EVER – Mention printed leaflets to most people, and the first thing in their mind would be takeaway flyers, often printed on a low stock and mass produced. Whilst this is ideal for distribution and keeping costs down, sometimes you need something a notch or two above in terms of quality. We’re proud to offer a Lux range of products including business 810gsm business cards, lux postcards, clothing and much more. We work closely with many luxury and high end brands to ensure a perfect harmony between high quality print and target customer, retaining the high standard expected throughout. If you’re interested in utilising print for your business, no matter what size company – sole trader or just starting out, feel free to get in touch with us. We’ll be more than happy to help – just click ‘Request a Quote’ on the top of our menu.